It's been 25 years since this article was published in Research and Development magazine. Long before Dilbert and the latest management fads this article humorously skewered the technical organization. This article would be hilarious if only it was not so true. See how much or Put's observations apply to your company. The Unwritten Laws of Engineering. This booklet was passed to us by an old project manager. It probably was written in the late forties. A little outdated but still very valuable for those in engineering. From the ASME. A great rant about silly industrial design at the expense of function. From Citybike Magazine. 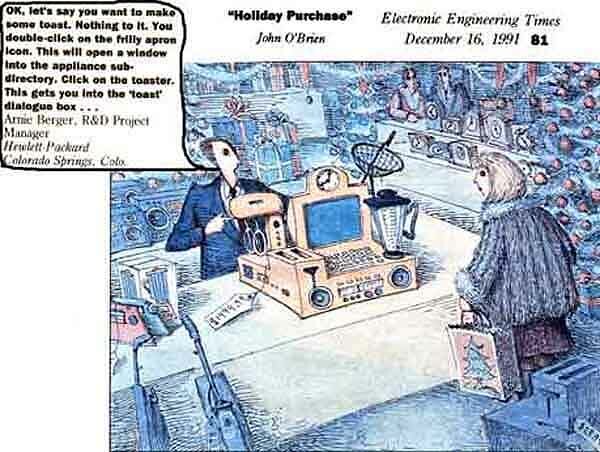 Electronic Design's Bob Pease mulls a reader's comments about interfaces. A thought provoking article from Modern Application News Magazine.